During Network Ten’s 2018 upfront, held about this time last year, the broadcaster announced it would be investing in growing its digital footprint via a new website called ten daily. Managing editor Mel Cornford has been involved with the project since its primary stages. She says, “ten daily offers news and views with personality. Despite being backed by a company like CBS-owned Network Ten, Cornford describes ten daily as a “startup”. 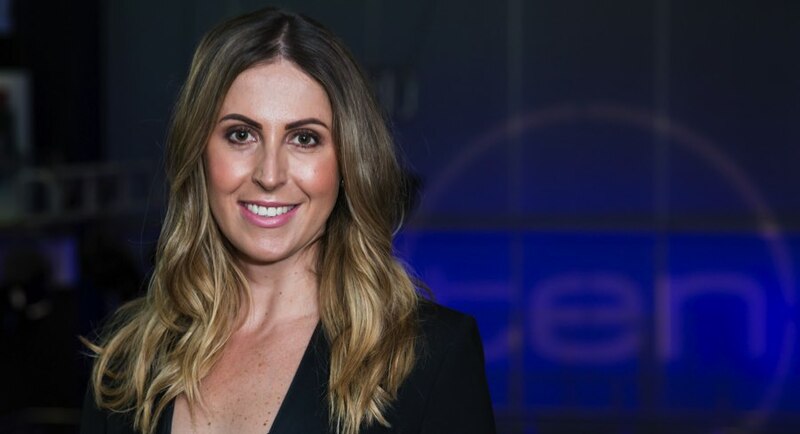 Since its launch in May 2018, ten daily has set out to target a young demographic. “I saw the launch of ten daily as an opportunity to do something very different and create something that would reach a younger audience,” Cornford said. “Launching a media product in this crowded market with the main players already well established, you have to shake things up and give the users something fresh and interesting to come back to. “We never set ourselves out to be against the main players Nine and Seven. We have a real point of difference with our content. Ten daily had been in the making for more than a year. Cornford was brought to Ten by the company’s general manager for digital, Liz Baldwin, in September 2016 to head the making of the new website. Ten daily boasts an impressive list of contributors such as notable Ten television personalities Waleed Aly, Carrie Bickmore and Lisa Wilkinson. “The names that are attached to ten daily are a huge point of difference to us,” Cornford said. “One of the biggest advantages for us is that we are a startup site within a big network. 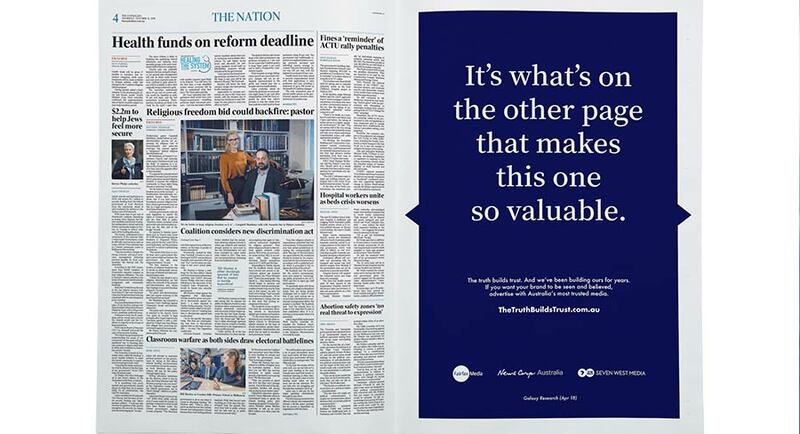 NewsMediaWorks, with the support of its foundation partners News Corp Australia, Fairfax Media and Seven West Media, has unveiled a nationwide advertising campaign that reinforces the importance of trusted journalism environments in news media to advertisers. 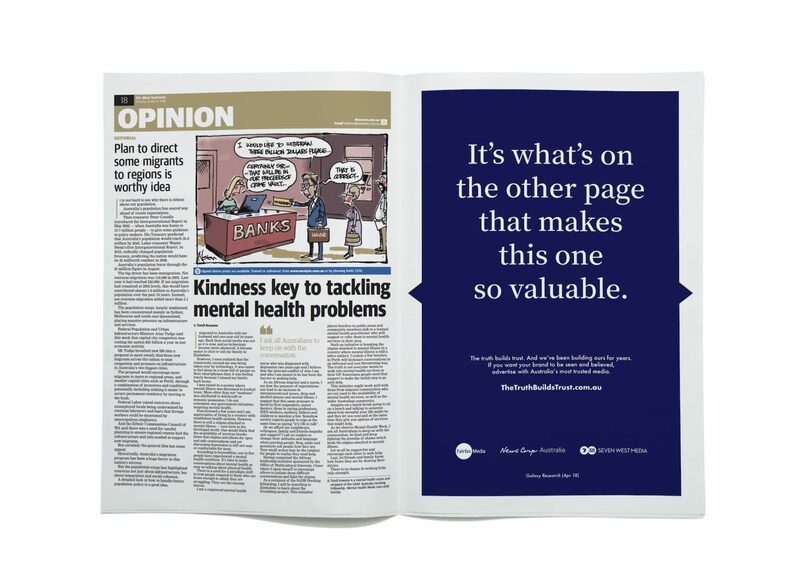 It features a range of executions that assert why trusted journalism is important for advertisers, including: “It’s what’s on the other page that makes this space so powerful”, “For why this ad works, see above” and in digital “Surround your brand with articles your customers trust”. The campaign will point to a website TheTruthBuildsTrust.com.au that directs advertisers and agencies to the ADTRUST* study findings. News Media Works CEO Peter Miller said: “They say the company you keep deﬁnes you. It’s the same for brands and the context within which they choose to be seen. So, if you surround yourself with the truth, you in turn will be trusted. As Australia’s most trusted news media, we’re the ideal place for brands to be seen and believed. The truth builds trust. “Journalism is what draws readers to our trusted news brands – more than 16 million every month. Thinkerbell founder and consumer psychologist Adam Ferrier said the campaign was born from the ADTRUST study from Galaxy Research that found that only 22% of people trust what they read in social media, and newspapers are the most trusted media for both content and ads. Trust in media channels directly drives purchase intent, with 58% of consumers agreeing that the more they trust an ad, the more likely they are to buy a product or service. The NewsMediaWorks campaign launches as recent SMI August figures show double-digit growth in metropolitan newspaper spend and growth for newspapers overall. Print spend grew 2.7% year-on-year, attributed to the 11.1% increase in agency spend in metro titles. Regional papers also experienced growth, according to the latest figures. Sources: * Galaxy Research; n=4200 Australians aged 18+ over 2 waves; Jun17 2 legs of n=1400 with each leg covering 5 of the 10 media types ; Apr18 1 leg of n=1400 covering each of the 10 media. News Corp has unveiled a new campaign in its Sunday papers to encourage Australians to acknowledge, honour and thank servicemen and women in the lead-up to the 100th anniversary of Armistice Day. The #ThanksForServing campaign – created by News Corp Australia and backed by the RSL, Legacy Australia and the Department of Veterans Affairs – includes four weeks of editorial coverage and coincides with a reader offer of a 15-part Anzac Spirit commemorative coin collection. It will culminate in activations across the country on November 11. 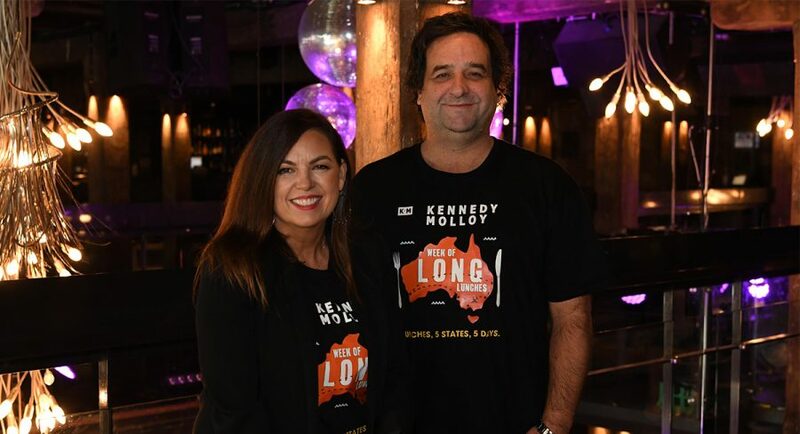 The campaign will feature in all News Corp newspapers and websites, in GQ Australia and Vogue Australia, as well as on Foxtel, Fox Sports, Sky News Australia and supported by HarperCollins. The campaign has been endorsed by recipients of the highest award in the Australian honours system, the Victoria Cross for Australia, such as Keith Payne VC and Dan Keighran VC. Payne, 85, is the last living Australian recipient of the original “Imperial” Victoria Cross. Keighran was the first member of the Royal Australian Regiment to be so awarded. 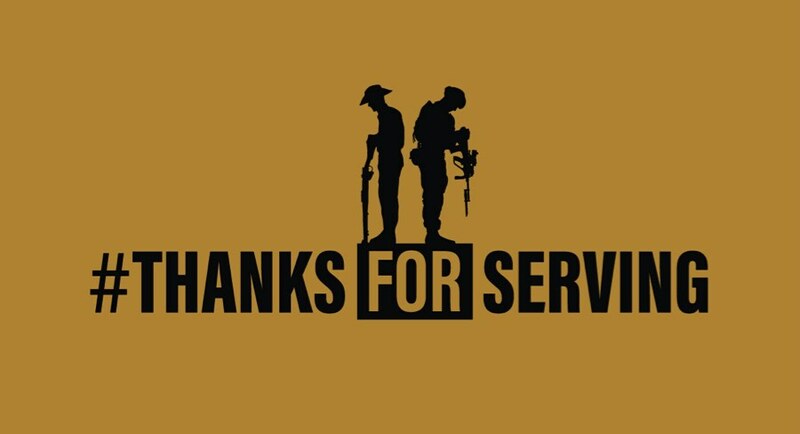 News Corp Australasia executive chairman Michael Miller said: “#ThanksForServing is an advocacy campaign to acknowledge all veterans – from Anzac to Afghanistan – including current serving personnel, tomorrow’s veterans, whose actions have ended conflicts and brought security and comfort to thousands. The #ThanksForServing campaign, in all News Corp national, metro, regional and community mastheads including The Australian, The Daily Telegraph, Herald Sun, The Courier-Mail, The Advertiser and news.com.au, will ask and encourage the nation to say Thank You in their own way, whether it is online, in person, at work or where they live. 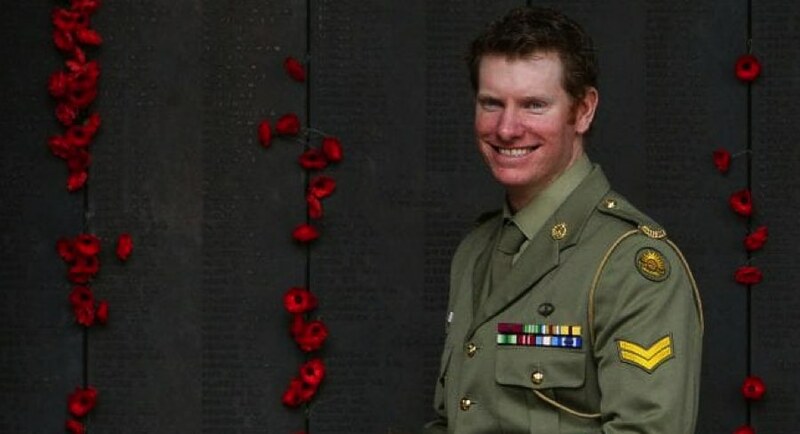 Rick Cranna OAM, chairman of Legacy Australia, said: “As a returned serviceman, I understand firsthand the sacrifices made by servicemen and women, and we as a nation must never forget. “As a Legatee (volunteer), having cared for widows and their children for more than 40 years, these sacrifices echo endlessly within the family that remain. The sacrifices made by families are no less important and must not be overlooked. #ThanksForServing will attach to any coverage across News Corp publications or programs specifically relating to Invictus Games, the ADF, the centenary of WWI and Armistice Day, or any other historical Anzac and AnzacLive content. The campaign officially runs from Sunday October 14 until Sunday November 11. Australian performers Conrad Sewell, Amy Shark, Vera Blue and Cyrus will headline the entertainment at the 30th annual Australian Commercial Radio Awards (the ACRAs) in Melbourne this week. 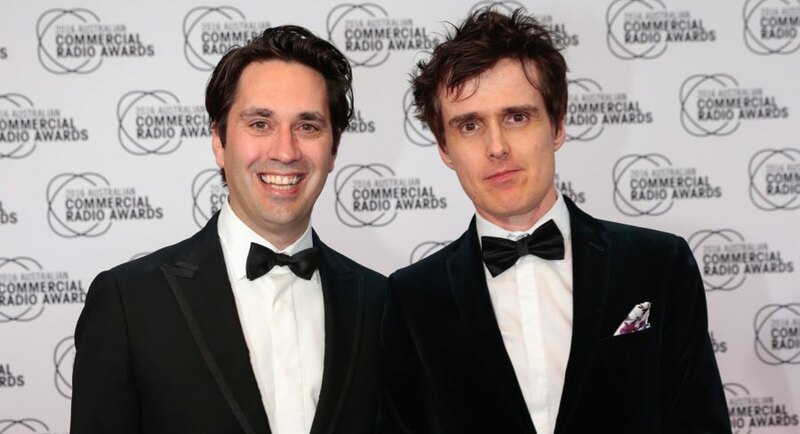 The artists will perform in front of 1,000 guests at radio’s night of nights, with satirical comedy stars Chris Taylor and Andrew Hansen from The Chaser hosting the event for the third year in a row. Melbourne Cup-winning jockey Michelle Payne will present the sports awards. Despite a disappointing result earlier this year, SBS has confirmed Australia’s participation as a competitor at the 2019 Eurovision Song Contest. For Eurovision 2019 SBS and production partners Blink TV will host a national contest, Eurovision – Australia Decides, to select the artist and song to represent the country on the world’s biggest stage. SBS acting managing director James Taylor, the Premier of Queensland Annastacia Palaszczuk, Tourism Industry Development Minister Kate Jones, Gold Coast Mayor Tom Tate and Australia’s Head of Delegation Paul Clarke have announced that Eurovision – Australia Decides will be hosted on the Gold Coast on Friday 8 and Saturday February 9 and the Live Show will be broadcast exclusively on SBS on Saturday February 9 when voting will be open to the public. At a launch event on the Gold Coast, SBS called on songwriters across Australia to submit an original composition as part of the selection process via sbs.com.au/eurovision. The song portal is now open for submissions until Sunday November 4. There are no restrictions on the number of songs composers and songwriters, both published and unpublished, can submit. Songs will be shortlisted later in the year and paired with some of Australia’s most recognised artists. Then it’s up to the Australian public and a jury to decide Australia’s act to take the stage at the 64th Eurovision Song Contest to compete for Eurovision glory. Hosted by Myf Warhurst and Joel Creasey, Eurovision – Australia Decides will showcase the best of Australian music and bring the nation closer to the Eurovision action. Myf Warhurst said: “In 1994, a band now known as Silverchair won a competition run by SBS’s Nomad program, with support from triple j, with their hit song Tomorrow – now an Aussie classic. Can we back it up with another worldwide smash hit? Joel Creasey said: “I can’t wait to be part of the first ever Eurovision selection show in the Southern Hemisphere and find the next Aussie classic, up there with the likes of Farnsy’s You’re the Voice, Braithwaite’s The Horses or my personal favourite, the seminal debut single from Bardot, Poison. The Eurovision Song Contest will be broadcast exclusively on SBS in May 2019, and will be hosted again by Myf Warhurst and Joel Creasey. BP Australia is set to power Fairfax Media’s 2018 Drive Car of the Year awards. Now in its 13th year, the Drive Car of the Year awards presented by BP are designed to provide Australian new car consumers with the most relevant, and comprehensive, outline of the best vehicles on the market. There are 15 individual categories across the different types of family, luxury and performance vehicles currently on sale. The process of determining the winners – and culminating in the coveted overall 2018 Drive Car of the Year – will commence this month with 49 finalists from 25 manufacturers being put through their paces over a week-long testing regime based at Wakefield Park in Goulburn in NSW’s Southern Highlands. An expert panel of seven judges, with more than 150 years combined experience as professional road testers and motoring writers, will assess each of the finalists based on a strict set of criteria that focuses on value, ownership costs, features, safety, comfort and driving dynamics. Uniquely, Drive invites the reigning class champions to defend their respective titles, ensuring the awards provide an accurate representation of which vehicles are the best in class, no matter whether they have been on sale for a few years or are brand new in 2018. “The Drive Car of the Year awards, presented in 2018 by BP, are the most comprehensive of their type and we pride ourselves on delivering the most relevant gauge of which vehicles are the standouts for new car customers in Australia,” said drive.com.au’s editor-in-chief Andrew MacLean. “The rate of change in the automotive industry is at an all-time high and consumers have never had as much choice or quality as they do now. That means it’s no longer a simple process – choosing either a large car or a small car, a work ute or a four-wheel drive for example – as it was in the past, as segments are constantly crossing new boundaries. For anyone to test drive them all would be inconvenient and near impossible. The field of cars will cover more than 20,000km during the week of testing. 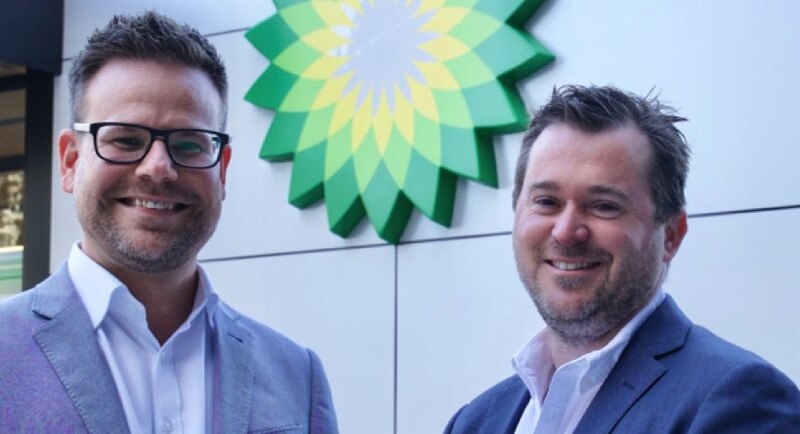 BP Australia’s marketing general manager, Adam Arnold, said, “BP has been fuelling drivers’ cars in Australia for almost 100 years,” Arnold said. “In that time we have invested heavily in the development new fuel technologies to align with the evolution of cars, especially the rapid changes we have seen in the last 20 years. The culmination of our work and technology is in our Ultimate fuels range first launched 17 years ago, our most advanced fuels for the modern car. The 2018 Drive Car of the Year awards, presented by BP, will commence on Monday November 4 with the individual category winners, culminating in the announcement of the 2018 Drive Car of the Year on Friday November 23. Nine has announced it will build out its online video content and data offering throughout the summer and into 2019. Ahead of this week’s Nine 2019 Upfront showcase, the media company confirmed it would be investing in brand new binge-worthy content, and building out a library of audience favourites. 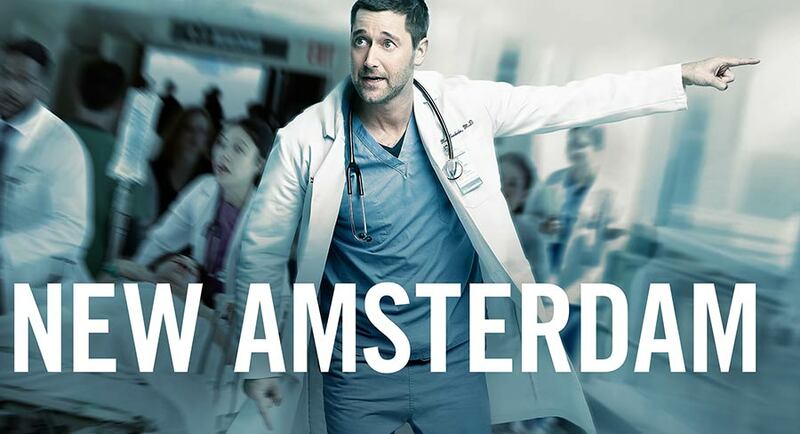 New content includes with the US mystery drama series Manifest, medical drama New Amsterdam and Amy Poehler’s comedy, I Feel Bad. “Our ambition is to deliver premium entertainment across the 12 months of the year for both our audience and advertisers,” Hamish Turner, Nine’s program director, said. “Alongside summer’s biggest sporting event, the Australian Open, you will see the biggest new show out of the US Manifest and a collection of Nine favourites The Big Bang Theory, Young Sheldon, The Middle, ER, and 2 Broke Girls. 9Now claims to lead the Australian BVOD space with a monthly audience of more than 2.2m users* and building a database of more than 7 million declared users. GroupM has launched its new Addressable TV business Finecast in Australia. Finecast is promising the power of television with the precision of digital, allowing advertisers to target viewers across multiple on-demand, set-top box and live-streaming TV environments. 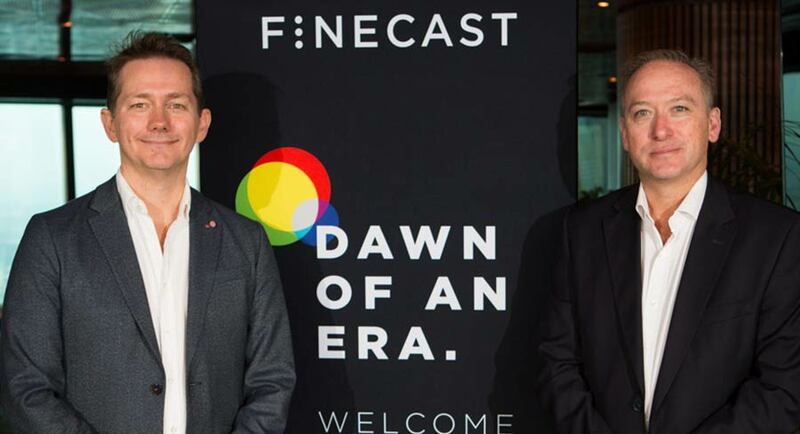 Australia is the second market launch for Finecast, following its UK debut a year ago. In the UK, Finecast has attracted advertisers across categories including automotive, retail, banking, FMCG and beyond. “Watching TV has never been as good as it is now, but as viewing behaviours evolve and audiences fragment across platforms, advertisers are grappling with how to continue making the best use of one of their most trusted mediums,” said Jakob Nielsen, global CEO, Finecast. A recent research report Finecast conducted with third party provider IHS Markit projected that 14 million addressable-capable TV devices will be in Australian homes within two years, setting the stage for industry momentum with addressable TV. With broadcast partners Seven, Nine, Ten, SBS and Foxtel via Multi Channel Network (MCN), Finecast has built a targeted TV inventory pool reaching Australian households at scale – across TV channel brands, pay-TV platforms and digital media players, a range of broadcast video on demand (BVOD) services, over-the-top providers, and games consoles. Finecast is live and already running campaigns as part of a pre-launch pilot program. From today it is open to all advertisers large and small. In conjunction with the launch, Brett Poole has been appointed Finecast’s managing director in Australia. 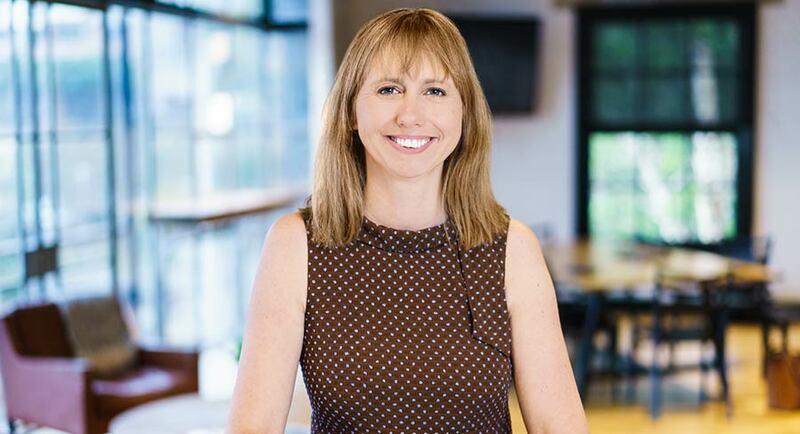 Poole was previously [m]PLATFORM’s VP of media and activation and previously the general manager of Plista, GroupM’s native advertising business. Another week in release season and another new entry sits at the top of the video game charts. This time it’s the highly anticipated new instalment in the Assassin’s Creed series, Odyssey. 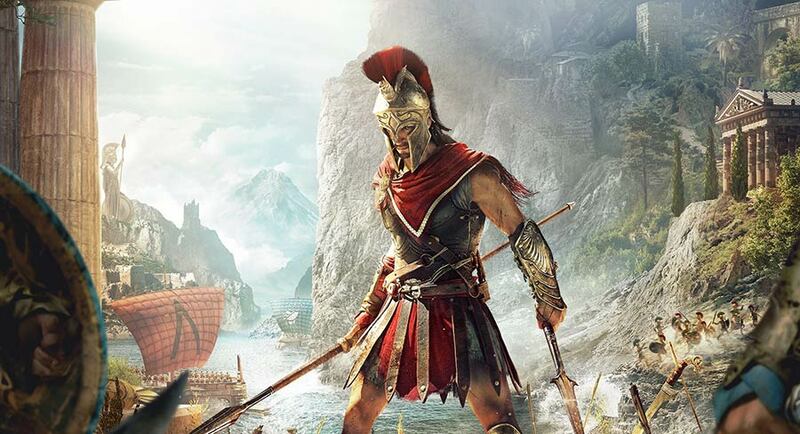 Picking up where last year’s Origins left off, this massive open-world epic is set in ancient Greece and successfully fuses classic role-playing systems with the series’ trademark bloody combat and wealth of activities. A critical darling and sales success too. Last week’s top game – FIFA 19 – is still sitting strong in the second spot, while Super Mario Party – one of the better entries in this long-running Nintendo party game for friends and family – debuts at number three. 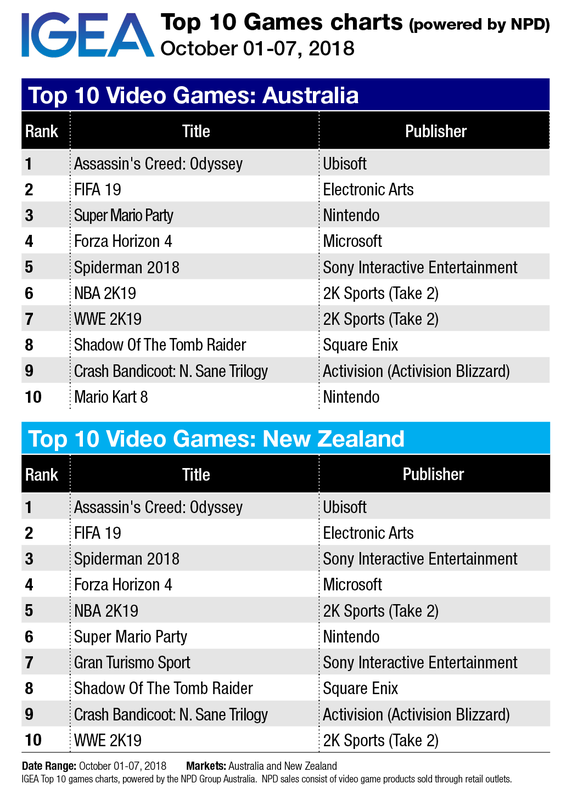 Other recently released, high profile games round out the top eight, with strong performance in particular from Forza Horizon 4. It’s an absolutely superb game that takes place in a lovingly-recreated Great Britain, complete with changing seasons in-game, and is a must-play for rev heads. We’re already spoiled for choice when it comes to great video games, but two of the biggest games of the year – Call of Duty: Black Ops 4 and Red Dead Redemption 2 – are yet to come. Strap yourselves in! George Ezra has found a home at #1 for the fourth consecutive week with Shotgun. He’s unlikely to still be there though when he tours next January… but that’s not too far away, so you never know. The only newcomer to the top 10 was Lithuanian producer Dynoro seeing In My Mind climb from #13 to #7 for a new peak after four weeks on the chart. 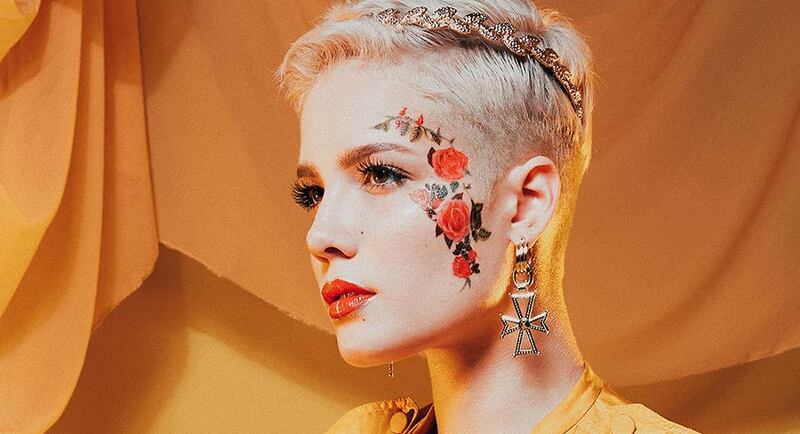 The highest new entry on the chart was Halsey with Without Me at #11, which becomes her third top 50 hit. Halsey also features as a guest artist on the #2 track this week – Eastside from Benny Blanco where he shares guest vocals with Khalid. #25 Lady Gaga and Bradley Cooper with Shallow from the new movie A Star Is Born. Lady Gaga was previously on the singles chart with The Cure last year, which peaked at #10. #27 Rita Ora with Let You Love Me – new music from her forthcoming second album Phoenix, which is due next month. The album has been a long time coming and her publicity tour interviews could reveal some interesting drama behind the scenes. 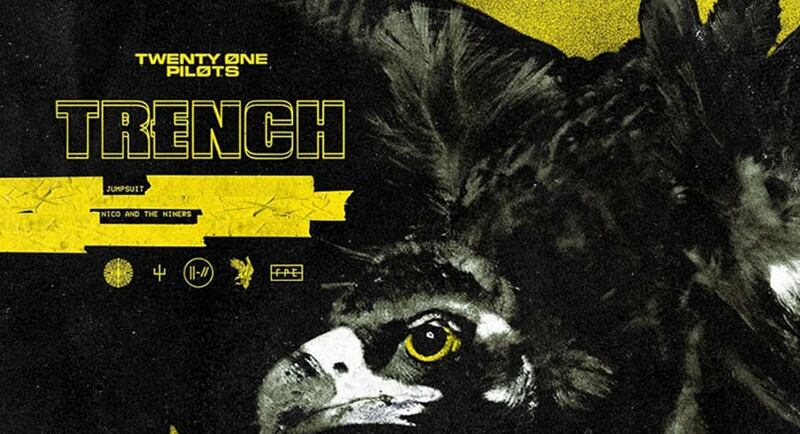 Music from Phoenix was first released in July 2017. #28 DJ Snake with Taki Taki featuring Selena Gomez, Ozuna and Cardi B. #41 Lauv with There’s No Way. #46 Lukas Graham with Love Someone. #48 Morgan Evans with Day Drunk – a track from the Aussie country artist’s second album Things That We Drink To. New releases bomb the chart at #1 and #3 with another five albums debuting also in the top 50. 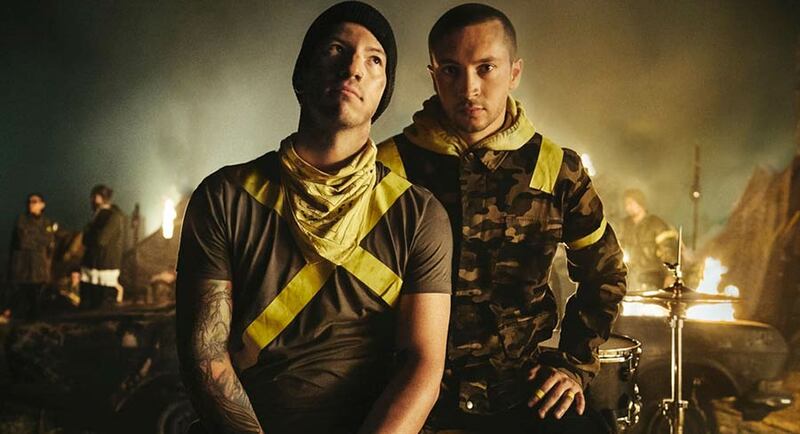 Twenty One Pilots are the new chart champs this week with their fifth album Trench and their first ARIA #1. The band is headed down under in December. Film soundtracks have been doing good business in Australia with several still charting including The Greatest Showman still in the top 10 after 44 weeks on the chart (41 in the top 10), and, perhaps even more remarkably, Guardians Of The Galaxy, sitting at #30 after 188 weeks! 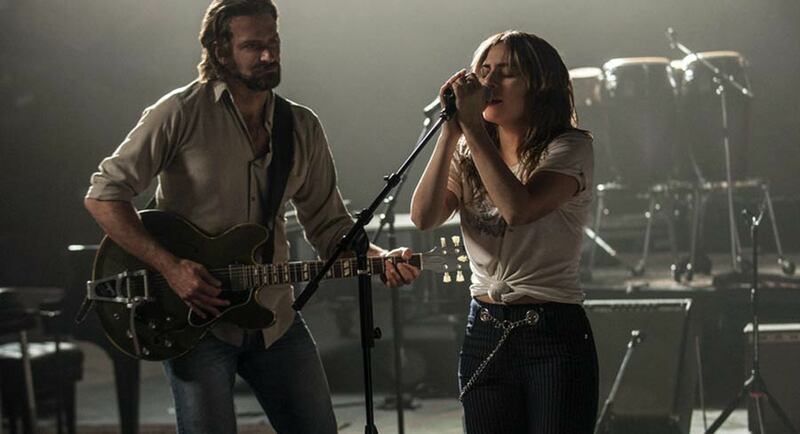 The latest hit soundtrack is from A Star Is Born with the film’s stars Bradley Cooper and Lady Gaga performing the tunes. The album is new at #3 and it is Gaga’s first time back on this chart since October two years ago with Joanne, which peaked at #2. #26 Last Dinosaurs with Yumeno Garden. Third album from the Brisbane group after A Million Years peaked at #8 in 2012 and Wellness made it to #18 in 2015. #34 Behemoth with I Love You At Your Darkest. The 11th album from the Polish death metal band is their first to make the ARIA Top 50. #42 Cat Power with Wanderer. US singer songwriter Chan Marshall releases her 10th album as Cat Power with the most recent four all charting here in 2006, 2008 and 2012. She performed at the Sydney Opera House earlier this year as part of the Vivid Festival. #45 Lil Baby & Gunna with Drip Harder. First ARIA Chart Top 50 entry for both US rappers. Drake makes a guest appearance on the album. #49 Coheed & Cambria with The Unheavenly Creatures is the ninth album from the US prog rockers. With no AFL to help Seven across the line to win the weekly ratings, it came from behind last week thanks to the Royal Wedding on Friday night. With Seven having the only camera access inside the church, the other broadcasters left it alone, pushing Seven’s Friday share to 31.1%, the best since Friday night AFL finals on September 21. Seven won the week with a primary share of 20.1%, a combined channel share of 29.3% and also a winning commercial share of 38.6%. However, Nine claimed all of the key demographics in primary channel primetime commercial shares of people 25-54 (25.2%), people 16-39 (24.2%) and shopper with child (26.1%). Nine also claimed the key demographics in network primetime commercial shares of people 25-54 (36.2%), people 16-39 (34.5%) and shopper with child (37.4%). Nine: The Block – All four episodes were in the top 10 with the biggest audience of 1.14m for the Sunday episode ranking it #1 for the week. Seven: The Royal Wedding was the only other program to crack 1m viewers in the first week of daylight saving. Seven’s next best was the launch episode of All Together Now on 813,000. TEN: The presentations after The Bathurst 1000 attracted the biggest audience for the channel – 957,000. The race itself averaged 737,000. The Australian Survivor Grand Finale –The Winner Announced also made the top 10 with 877,000 hearing Shane Gould’s name read out. TEN had one of its best weeks of the year and its best two consecutive weeks since the launch of MasterChef back in May. SBS: The channel had its equal-lowest share since April – 4.4%. Its most-watched show was Tony Robinson’s Hidden Britain By Drone with 304,000. ABC: The channel had its best share since the last week of August. Helping drive that result were Wednesday’s Hard Quiz and Mad As Hell, as well as Monday’s Australian Story. On combined channel share (aka network share), Seven has dominated in all survey weeks except four this year. Seven is also claiming leading commercial shares year-to-date total people and the key demos 25-54, 16-39 and 18-49. Seven is up YOY in all key demos, yet leads Nine by less than a point in the three age groups. The second episode of All Together Now featured the first contestant to score 100 with a positive vote from every judge. After debuting with 813,00, the second outing dipped to 745,000. Sunday Night then did 603,000 after 500,000 a week ago. It was the first reveals from the challenge unit last night as one lucky winner probably got a glimpse of what they will be winning. The episode led the pack for the night with 1.15m after 1.14m a week ago. 60 Minutes then did 699,000 after 640,000 the week prior. The second appearance of The Honey Badger on The Sunday Project in two weeks was much more convincing than his first. However, the audience didn’t return. A week ago at 7pm The Sunday Project did 620,000. However, last night, when he sat at the desk and opened his heart, the number watching was 416,000. The lead-in didn’t help the new Game Of Games. It launched on 536,000 a week ago, yet dropped to 416,000 last night. New NCIS then did 311,000. The final episode of Joanna Lumley’s Silk Road Adventure offered many highlights in wonderful cities in unlikely places. However, there was an anticlimactic ending when Lumley revealed, at the border, she and her crew had been denied entry to the final destination – China. The episode did 662,000, which was the biggest of the four episodes. The Screentime drama Pine Gap then launched with a double episode on 581,000 as it revealed a mystery many viewers should be keen to see unravel. A repeat of Italy’s Invisible Cities did best with 181,000. SBS World News was on 128,000 with True Evil: The Making Of A Nazi on 114,000. News Corporation could cut its losses and sell Foxtel if it is not able to successfully turn around the under-pressure subscription television provider, reports The AFR’s Max Mason. On a recent trip to the US, Goldman Sachs analyst Kane Hannan met with a number of media players, including News Corp. His interpretation of the message from News Corp was the company did not want to be stuck with another structurally challenged asset, such as its newspaper division, so if Foxtel did not deliver growth it could be destined for the chopping block. Hannan said News Corp was confident it could invest to transform Foxtel, stabilise earnings and return to $US700 million in earnings before interest, tax, depreciation and amortisation it had previously delivered. The merged Nine Entertainment and Fairfax Media will find $50 million of annual savings in technology, product, media sales and back office costs, and by sharing lifestyle content, but has again vowed that none of the cuts will come from journalism jobs or combining newsrooms, reports The AFR’s Max Mason. About $45 million in savings, in tranches of $15 million each, will come out of the technology and product divisions, for example by using and developing common tech platforms, the media sales teams and commercial operations divisions, and corporate and support functions, which include roles such as management, audit, head office, human resources, marketing, property services and ASX compliance. A further $5 million will come from the sharing of “lifestyle-oriented” content used by different but similar brands run separately across the combined Nine and Fairfax. A dive in Fairfax and Nine’s share prices has hit the value of the media groups’ planned merger, driving it down to $3.6 billion on the back of market disappointment over earnings updates released by both companies on Friday morning, reports The Australian’s Eli Greenblat. Senior Fairfax executives led by Fairfax boss Greg Hywood will share in cash payments of $5 million if the company’s merger with Nine Network proceeds, according to the merger scheme booklet released Friday night after the market close. Hywood will pocket $1.4m, as well as aggregate estimated cash payments for cancellation of his Fairfax options and Fairfax performance rights of $5.8m. In total $12m will be paid out for cancellation of these options and performance rights. Nine has opened the door to job cuts for the first time following completion of a $3.6 billion merger with Fairfax and all but confirmed its lack of interest in retaining the 177-year-old publisher’s rural, regional and agricultural newspapers as part of a radical corporate restructure, reports The Australian’s Lilly Vitorivich. The free-to-air television network has also effectively hoisted a for-sale sign over Fairfax’s New Zealand business and outlined plans to make the combined group’s sales teams and back-end functions bear the brunt of a $50 million cost-cutting plan within two years of the media merger. Removing duplication across sales teams and commercial operations will save Nine about $15m, according to a scheme of arrangement between the two companies. While Nine chief executive Hugh Marks has so far insisted there are no plans to cut jobs on the editorial side of the combined group, a scheme booklet reveals that Nine will conduct “an analysis of its ongoing resourcing requirements” in a move that will concern the journalists’ trade union. The runaway popularity of true crime journalism is causing headaches for homicide squads and coroner’s courts across the country by stretching resources to breaking point, reports The Australian’s Deborah Cornwall. So acute is the problem in NSW, the Homicide Squad and Coroners Court recently met to discuss how to triage the crushing number of inquiries. Detectives in the NSW Unsolved Homicide Unit are under instructions to assist media only if investigators believe a podcast might attract leads. “We are acutely aware of the ever increasing interest in true crime but we would never divert resources away from investigations just to assist journalists,” a spokesman said. This year The Australian’s The Teacher’s Pet broke global records and the ABC established a dedicated series called Unravel following the popularity of its 2017 true crime podcast Trace. Since launch The Teacher’s Pet has been downloaded about 24.5 million times. 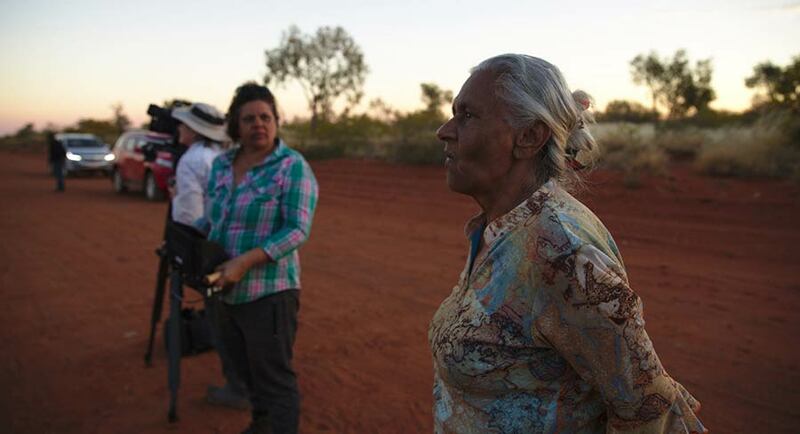 While far from a household name outside Alice Springs, Freda Glynn was honoured three times at the Adelaide Film Festival on the weekend – with a new book, a new documentary and winning the Don Dunstan Award for an outstanding contribution to the country’s screen culture. It’s an award that has been won previously by critics David Stratton and Margaret Pomeranz, Shine director Scott Hicks and actors Judy Davis and David Gulpilil, reports Fairfax Media’s Garry Maddox. A slight woman with a big personality, Glynn is the matriarch of three generations of filmmakers including son Warwick Thornton (Samson & Delilah, Sweet Country) and daughter Erica Glynn (In My Own Words, Redfern Now). In the book Kin, edited by festival director Amanda Duthie, actor Deborah Mailman credits “Aunty Freda” with helping provide the training that allowed Aboriginal people to “sustain the culture and languages of Central Australia”. Former arts bureaucrat Kim Williams calls her a “visionary” for her passionate advocacy for indigenous broadcasting. And the director of The Sapphires, Wayne Blair, describes “Nana Freda” as “a champion for blackfella filmmakers” who “sacrificed a great deal for what we now possess”. TV producers Jonathan Shiff, Angela Santomero, Tom McGillis and Ben Bocquelet have spoken about creating successful shows for kids at a session at MIPJunior that was moderated by World Screen’s Anna Carugati before each receiving a Kids Trendsetter Award, reports World Screen. The fourth annual World Screen Kids Trendsetter Awards were presented to the leading creators in recognition of their contributions to the children’s programming business. Shiff is behind the tween live-action hits H2O: Just Add Water and Mako Mermaids, among others. “I was actually running away from something!” Shiff quipped about how he entered the content business. The former property lawyer decided, after his daughter was born 30 years ago, that there wasn’t much for her to watch, leading him into a post as a legal advisor on a prime-time show “on the basis that they would train me as a producer”. Mediaweek’s James Manning and Andrew Mercado are joined by FremantleMedia Australia director of drama Jo Porter for a special Picnic At Hanging Rock podcast. Porter covers everything from the initial pitch to the estate of author Joan Lindsay and Foxtel, through to the casting and production. We ask lots of questions about Natalie Dormer and Samara Weaving and how the producers managed to secure two of the hottest stars to spend four months filming in Australia. ESPN’s coverage of the 2018-19 NBA regular season tips off this week with five opening week games, new shows and dozens of the industry’s top NBA commentators. ESPN’s first doubleheader of the regular season is Wednesday October 17 as the Boston Celtics take on the Philadelphia 76ers led by Ben Simmons and rookie Jonah Bolden at 11am AEDT. The five-game opening week slate culminates on Sunday October 21, when ESPN nationally televises LeBron James’s home-opener with the Los Angeles Lakers as they host the Houston Rockets and James Harden at 1:30pm AEDT. The NBA Finals broadcast team of Mike Breen, Jeff Van Gundy, Mark Jackson and Doris Burke will call the action. The NBA Countdown’s pre-game and half-time shows, as well as the NBA After The Buzzer post-game show, will emanate from just outside the Staples Center at Chick Hearn Ct.
All ESPN NBA game and studio programming is also available to stream on the ESPN App. Peter V’landys is the dag in the $200 suit that doesn’t properly fit him, in an inexpensive shirt that’s too big, and even cheaper tie that doesn’t match either, reports Fairfax Media’s Andrew Webster. When he was branded “elitist” last week over the Opera House kerfuffle for wanting to project lights onto its sails for The Everest barrier draw, it jarred with those who know him and regularly deal with him. A son of hard-working Greek migrants, V’landys wears “working class” as a badge of honour. He’s also one of the most connected operators in the city. He has the ear of Alan Jones, as we saw earlier this week. He’s close to News Corp because of the huge amounts of advertising dollars he spends with them. 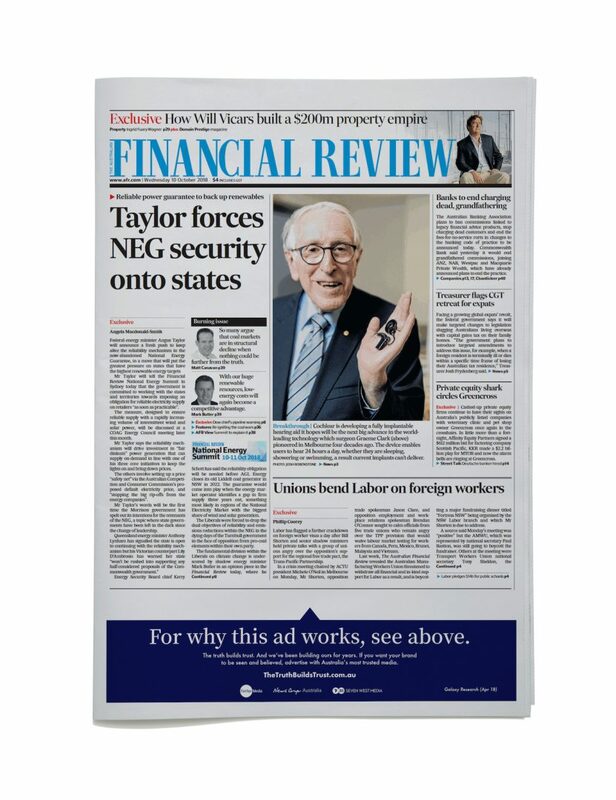 (It should be pointed out that Racing NSW also advertises with Fairfax Media). And Premier Gladys Berejiklian would be silly to underestimate him. V’landys has faced the blowtorch in the past week for his 2GB interview with Jones, who got him back on air so they could gang up on Opera House chief executive Louise Herron. He usually plays the media quite well. But in his rampant attempt to give The Everest more exposure than the sun, he’s made a few errors.